7 posts categorized "YOUNG READERS CORNER"
The more things change, the more they remain the same! That was written in 1839. With all the hullabaloo about kids today not being as independent-minded and individualistic as they had the opportunity to be in the past, it's interesting to think that even in 1839, this was something people were worried about. What fantastic things the children of the early 1800s must've gotten up to! 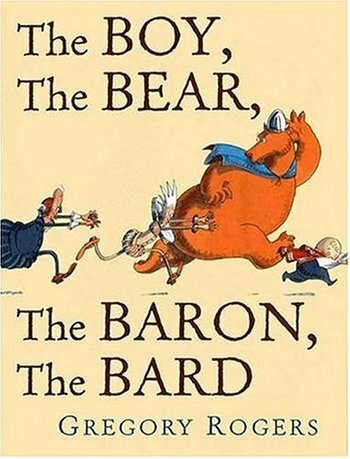 Another must-have picture book, all in wordless panels: a wild tale set in and around the Globe theater -- hey Booksellers, Librarians, Homemakers, Collectors, here's another treasure to help raise the next generation of graphic novel readers! Hm. Shall I shamelessly exploit this new YOUNG READERS CORNER for purposes of ignoble self promotion? 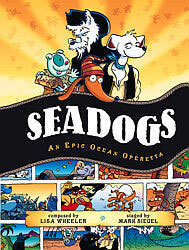 SEADOGS, An Epic Ocean Operetta was my first comics entry into the world of picture books. 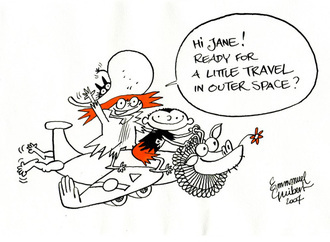 The script is by beloved author Lisa Wheeler, and was my first project with one of the greatest living editors in children's publishing: Richard Jackson. 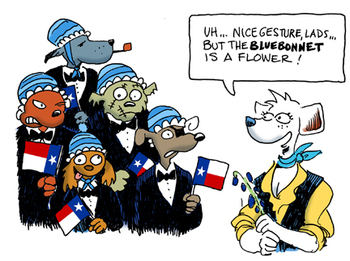 And i just got the news SEADOGS won the Bluebonnet Award -- all the more encouraging since it comes from actual young readers.
. . . Who clearly want to read comics! 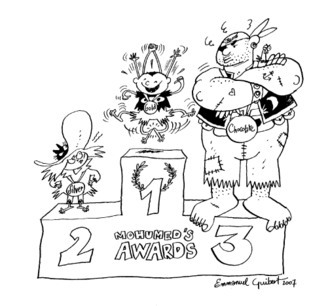 So YOUNG READERS CORNER will include highly recommended quality comics, and before long, it should be VERY OBVIOUS there's plenty of material out there to make a hoppin', happenin' section for the picture book set in every bookstore, library, classroom and children's room! 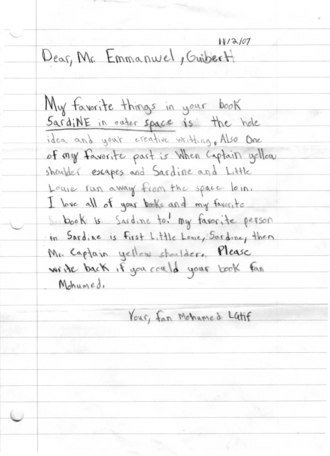 And you, cherished visitor, if you know of a MUST-HAVE title for this Young Reader's Corner, please, comment, comment away! 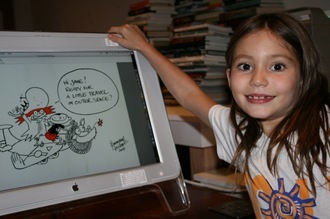 And of course, I'll be sure to mention the First Second Titles which belong here, such as SARDINE IN OUTER SPACE, available as of May 1st 2006 online or in your favorite bookstore, since we are wholeheartedly committed to helping raise the next generation of demanding Graphic Novel readers. 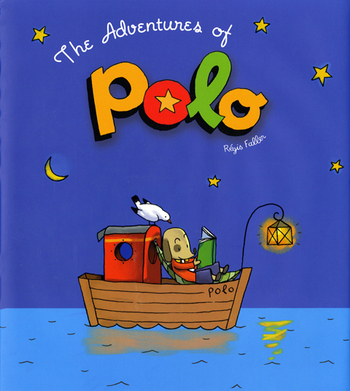 It's exquisite, generous, surprising, thrilling, delightful storytelling, without any words -- and you can get a glimpse of Polo's world at the Polo website, although it's in French.